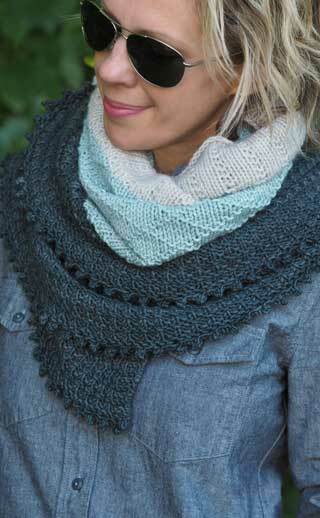 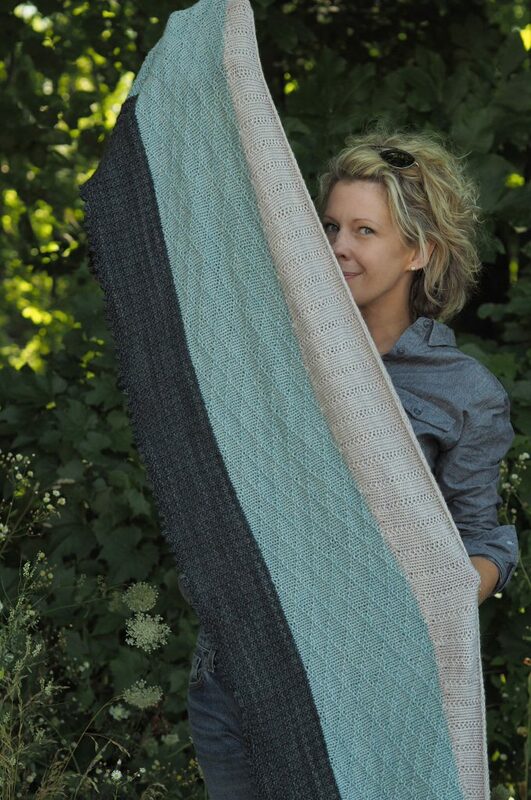 Stateline is a crescent shaped wrap, using a variety of textured stitches to add interest and motion. 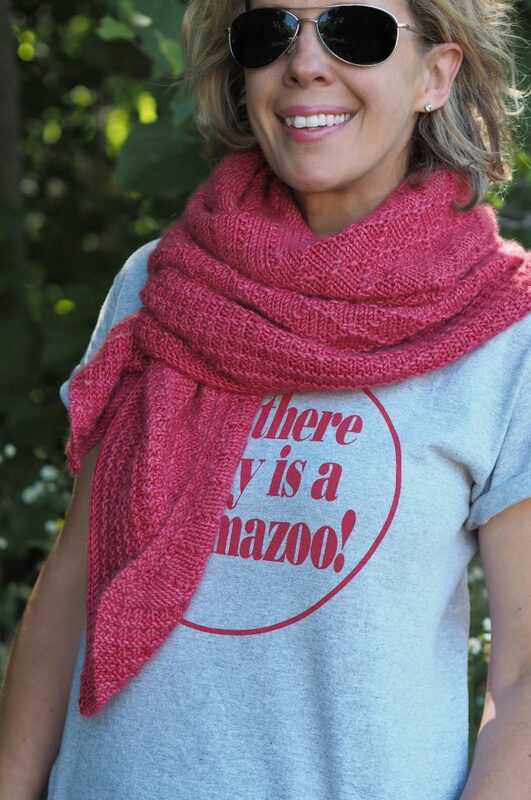 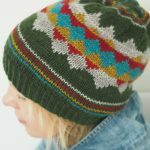 You can easily add your personal stamp by combining a variety of worsted bases and colors, as well as choosing from one of the three bind off methods included in this pattern. 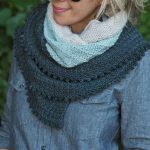 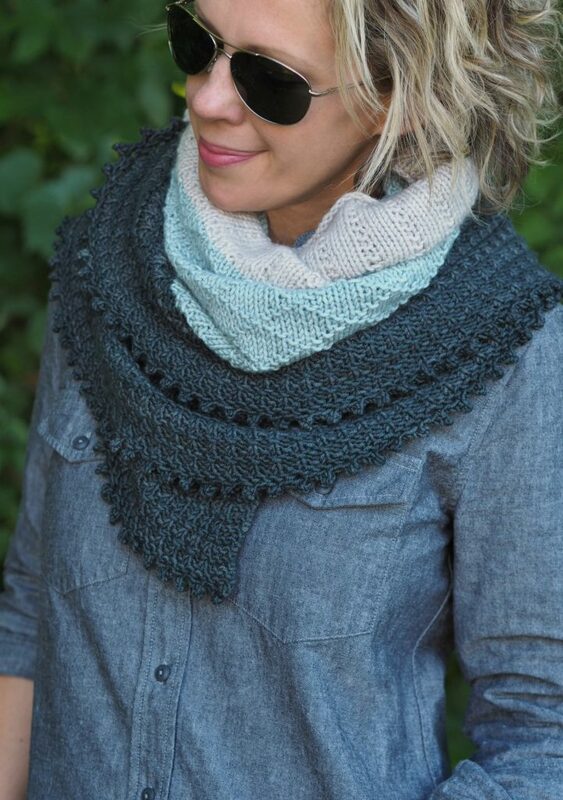 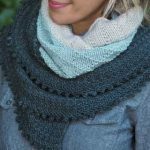 Elegant and understated when knit in a single color, this wrap is just as beautiful when worked in a gradient or an exciting combination of eye popping colors. 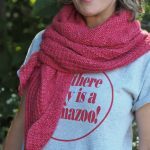 You decide!